I was always a bit fascinated about Antarctica, this exotic piece of land covered by ever-lasting ice. One of my early recollections is when at the age of 8 I read a small Greek book called “The World’s Encyclopaedia” that my parents bought me to quiet my ever-growing (and maybe, at times, annoying!) curiosity. In there I discovered for the first time some of the bizarre facts that govern the Seventh Continent. “Antarctica is so cold and desolate that only a few scientists abide there, in special shelters, for scientific purposes”. That sentence struck me with surprise – little did I know that around 18 years later I would be chosen to join this strange band of people. I heard about the Medical Research post at the European station of Concordia for the first time when I was 23. 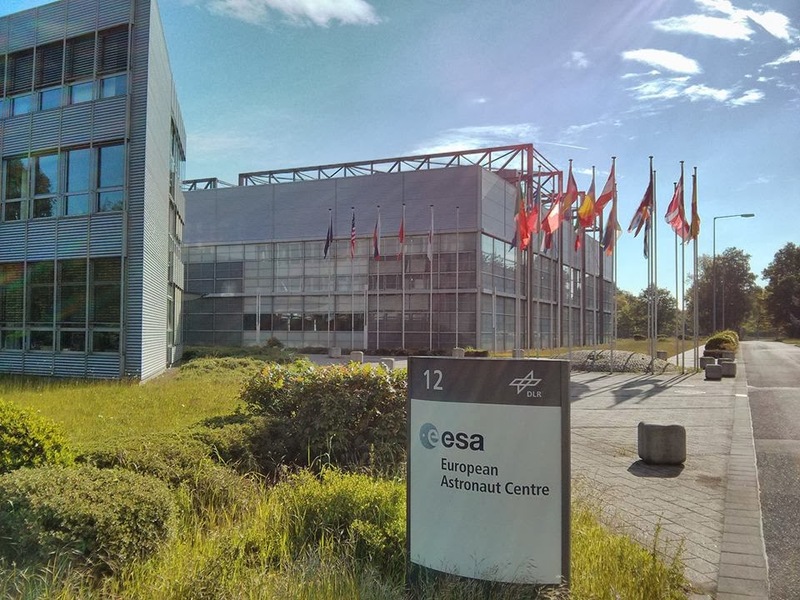 Being excited with human spaceflight since my early childhood, I had subscribed at the European Space Agency’s mailing list a while after Greece joined ESA in 2005. One morning, as I was checking my e-mails, I read the peculiar title “Wanted: Doctors that are not afraid of the dark”. I was already close to graduating from the Department of Medicine in the Aristotle University of Thessaloniki and in my head I entertained the possibility to apply in the following years. I remember discussing it with my close friend, George, and briefly mentioning it to my mother, who however cannot recall the incident. It would be almost three years later, in May 2013, that I would answer another call for Concordia, this time entitled: “Doctor needed for mission to white space”. I applied with a lot of excitement, but little anticipation. The first small surprise was when I was called for an interview with two more finalists in Paris. I started to believe. The 24th of June was quite an interesting day for me. Like a lighter version of an astronaut selection, we begun with a full medical examination, followed by a psychological assessment. It was quite a funny moment when I discovered that my blood type is actually 0- (not 0+ as I was always told)! In the same time, a small arrhythmia during the stress test filled me with anxiety. 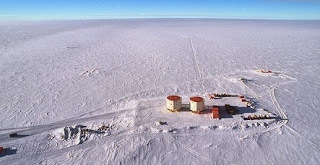 I was greatly relieved when I was informed that the result was normal and was granted “fit for Antarctic service” status – I would hate to fail because of an irregular heartbeat after drinking too much coffee that very morning! After the psychological tests (which were quite stimulating), we concluded with a job interview from ESA and IPEV – the French polar institute. My colleagues who also applied for the Concordia post were pleasant people and similarly qualified as me; I returned home full of aspirations, but believing I was the outsider in the contest. One month later, while working late for my internship project at the European Astronaut Centre, I received an e-mail, notifying me that I had been selected for the post. It was a little shock! I remember walking dazed in the office across the hall and my colleagues Patrick, Andre and Alex comforting me. I missed a party that night – I ran a half-Marathon instead (!) in an attempt to clear my mind. For the first time I was realizing what a year in Antarctica would mean – exhilarating, but on the other hand 365 days away from family, friends and society. One year without seeing my girlfriend face to face, without dancing in a bar, greeting people in the street or playing football. Not to mention I would miss the release of “The Hobbit, Part 2”, in the big screen! Still, I had to make a decision – and a big decision too. It was because of this that my concentration was often distracted as my friends at Cologne (Thanos, Anna and Dina) remember. Also, the nights were longer in the small attic where I was living: I would close my eyes, but daydream about the strong and weak points of going to the Antarctic before sleeping. Eventually, I consulted many friends and listened closely to their advice. My family helped a lot too, at times raising doubts that I had not considered and at times being very supportive. Both were important. My morale for the next weeks would range from sky-high (oh, the excitement!) to an all-time low, which did not sprout from the fear to go, but rather from the difficulty of making a life-changing decision. To have the strength to go was only matched in my mind by having the strength to deny. So, the eternal question arose again and again: Why? It will be a unique experience. One that I cannot afford not to taste. More than that, it’s a personal challenge that can help us all become more complete and truly discover ourselves, after having tested our limits. We go to Concordia because we believe the rewards will be many. Because it’s the closest thing to simulating a space mission. Because it’s an once-in-a-lifetime chance to live there. For me, the most important reason to go, however, is science. I believe in the science that is being conducted there. I believe in the tangible benefits that can be born from this science. And I believe our team will do a great effort to provide valuable results. I am confident that, despite the impending hardships, I will not regret the choice, but like my predecessors I will be glad I took the bold decision to go when I was lingering on the verge. Send a letter to Concordia!